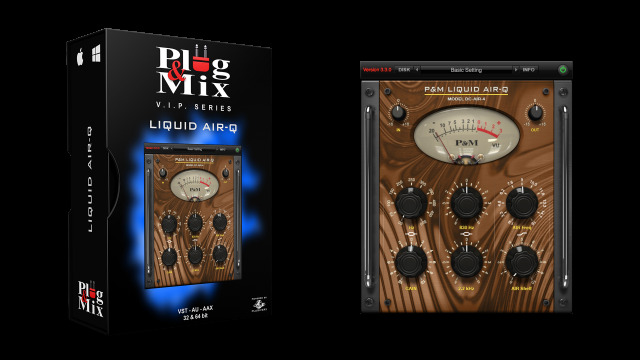 This unique plug-in offers an easy way to breath more life or "air" into any track. It comes with three adjustable lower and mid frequency bands for dialing things in, so you have full control over which frequency you want to highlight. The additional high band EQ is actually a shelf with adjustable frequency AIR Band controlling sound presence and transparency. - LOW FREQ : Center frequency of the Low Band. Range 40, …, 150 Hz. - LOW GAIN : Gain control for the Low Band. - MID 1 GAIN : Gain control for Mid1 Band (the band below 1 kHz). - MID 2 GAIN : Gain control for Mid2 Band (the band between 2 and 3 kHz). - AIR SHELF : Gain control for the AIR Band (High frequencies). - AIR FREQ : Bandwidth control for the AIR Band.